I know I know, today’s post is up really late – – BUT – – it’s worth the wait! 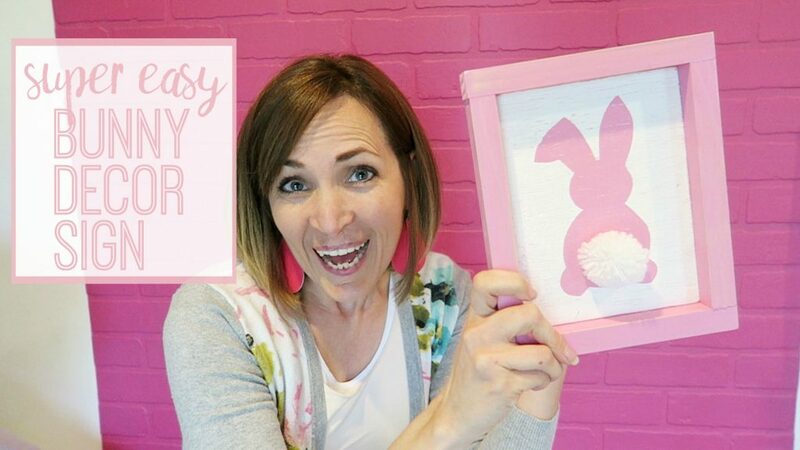 This project was a huge hit from a live Virtual Craft Club video I did last week, so I wanted to get the project out here for any of you that might have missed it there. Isn’t it cute?! it’d be great to do with friends or kiddos – it’s a project anyone can tackle. I really love that you don’t need a cutting machine – just scissors! 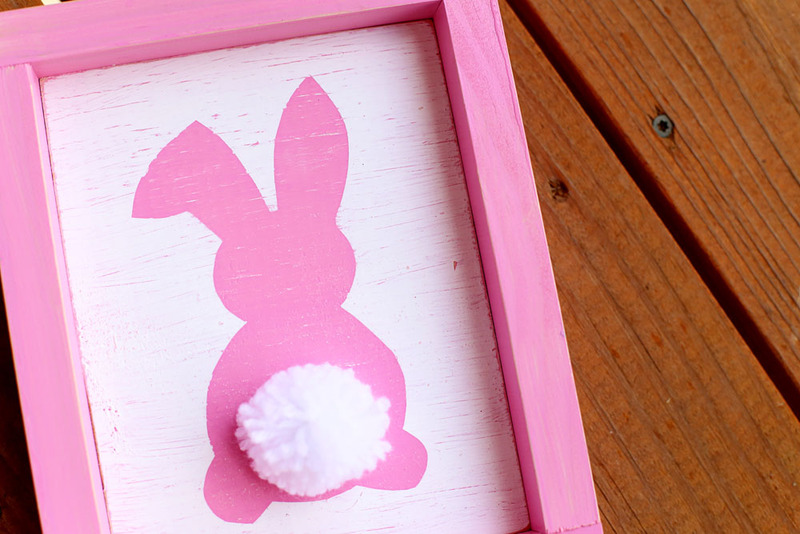 Look at the fun distressing on this project – love it!! 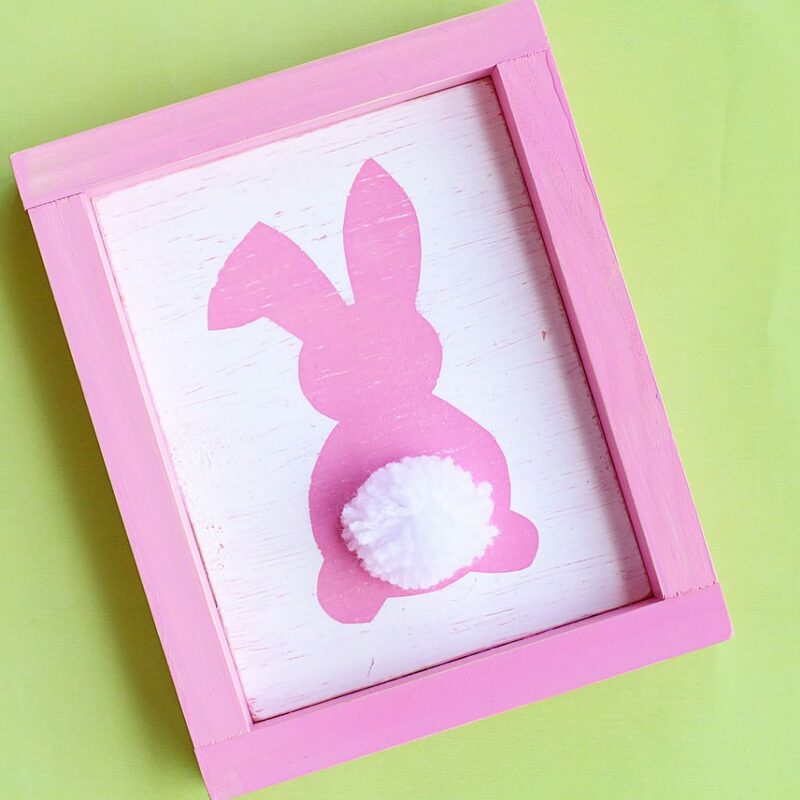 –the overview of the project: paint your board white, paint it pink, cut a bunny shape out of contact paper and stick it to the board, paint over the sticker and paint the board white, peel of the sticker, sand to distress, glue on the pom pom, nail on the trim. Boom, done!! Too brief?? It’s your lucky day, because I put together a Video Tutorial! See more crafty tutorial videos on my Sugar Bee Crafts YouTube Channel! 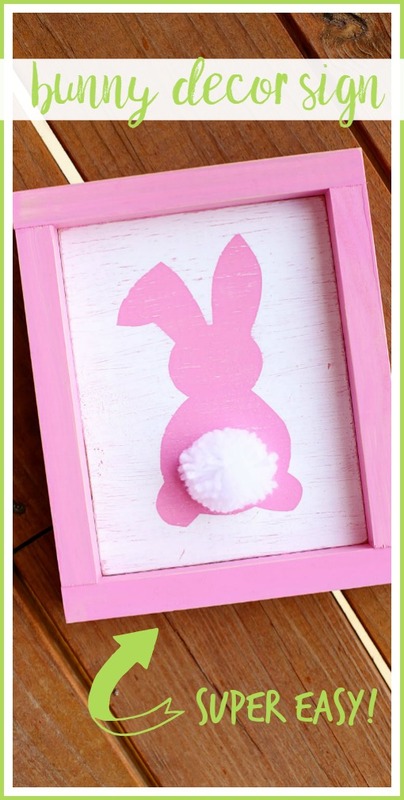 Enjoy making your own Bunny Decor Sign!